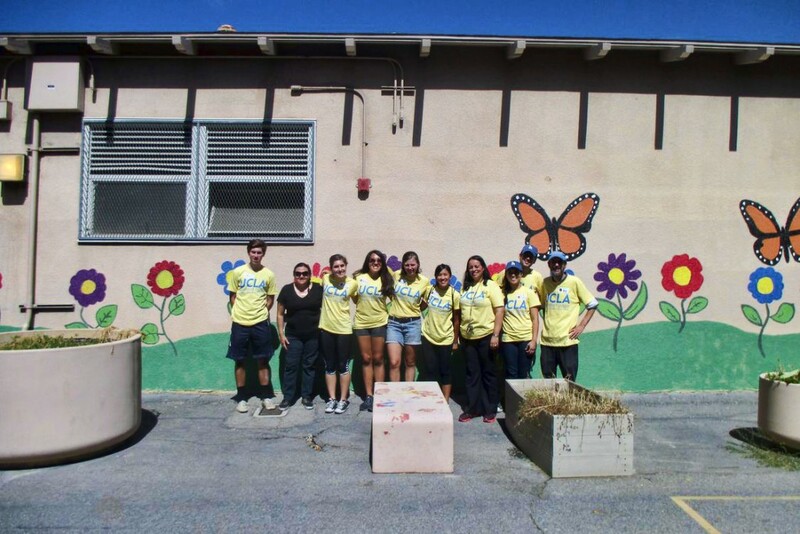 Last Saturday UCLA held it’s annual UCLA Volunteer Day throughout Los Angeles. 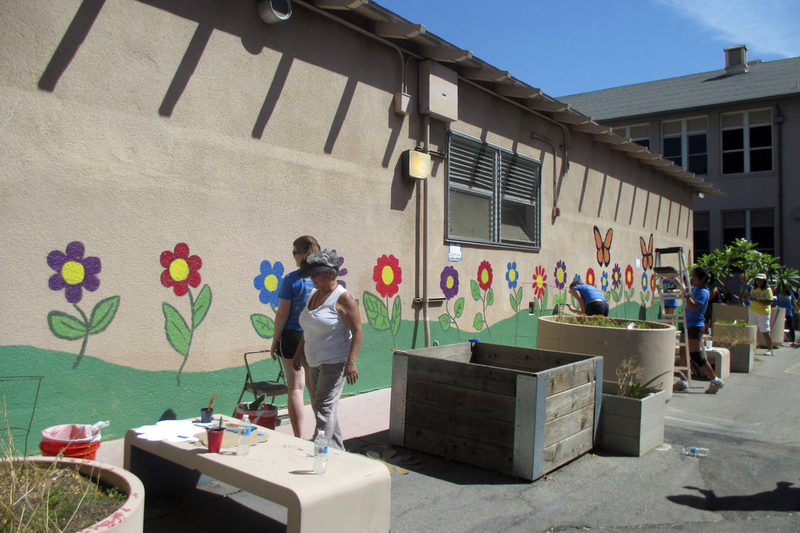 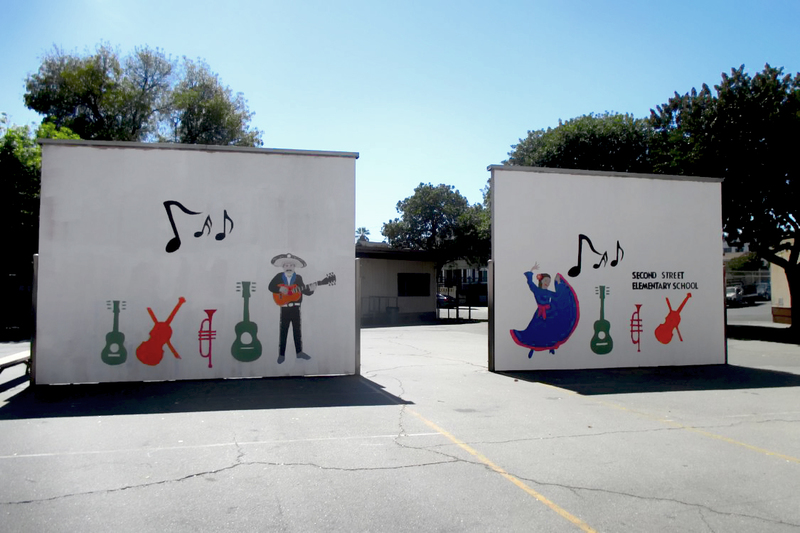 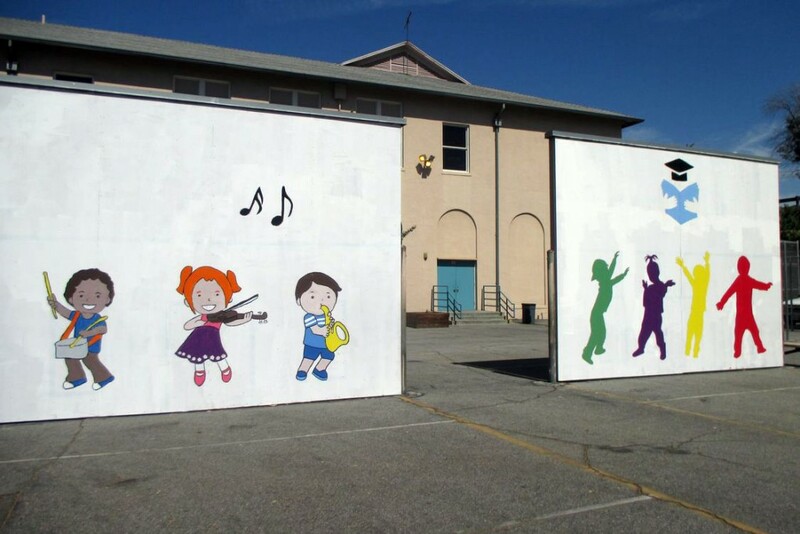 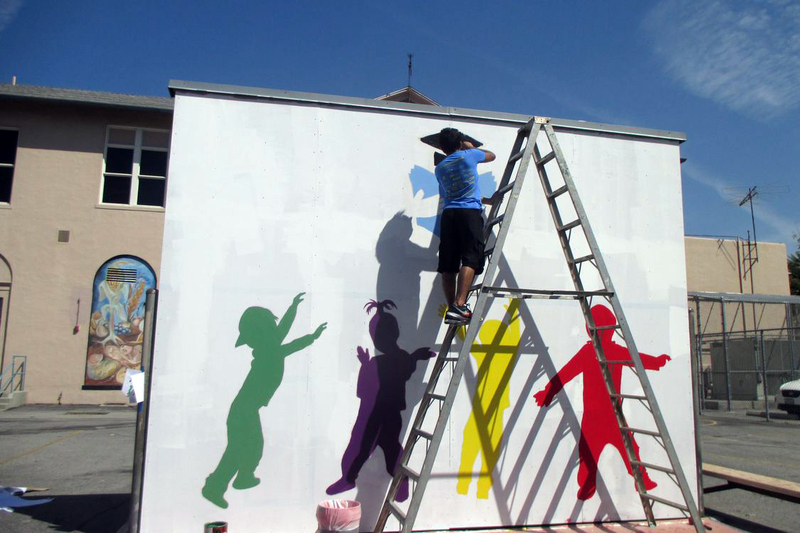 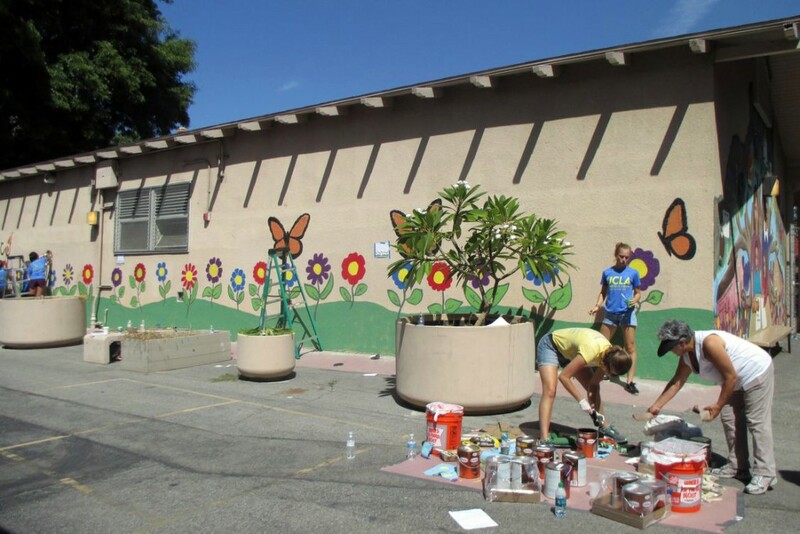 I was lucky enough to participate at the Second Street Elementary School site. 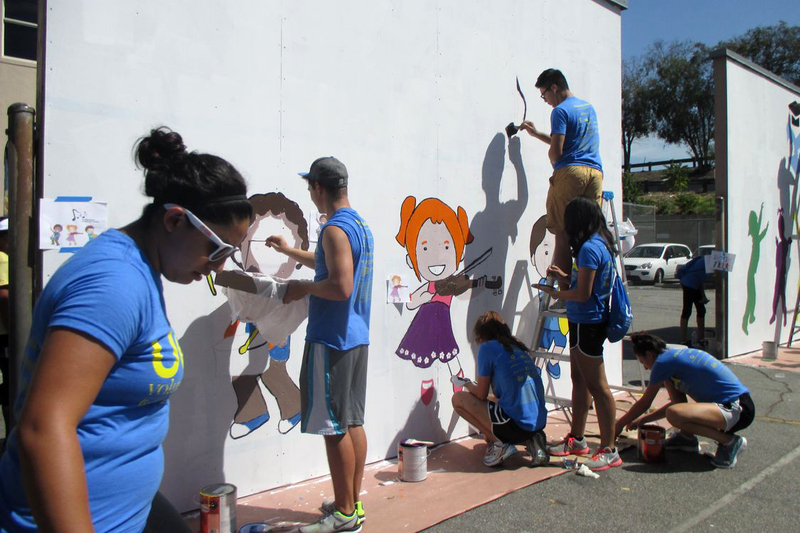 I got to work with the 2015-16 UCLA Freshman class in the mural project and these are some of the pictures from the event. 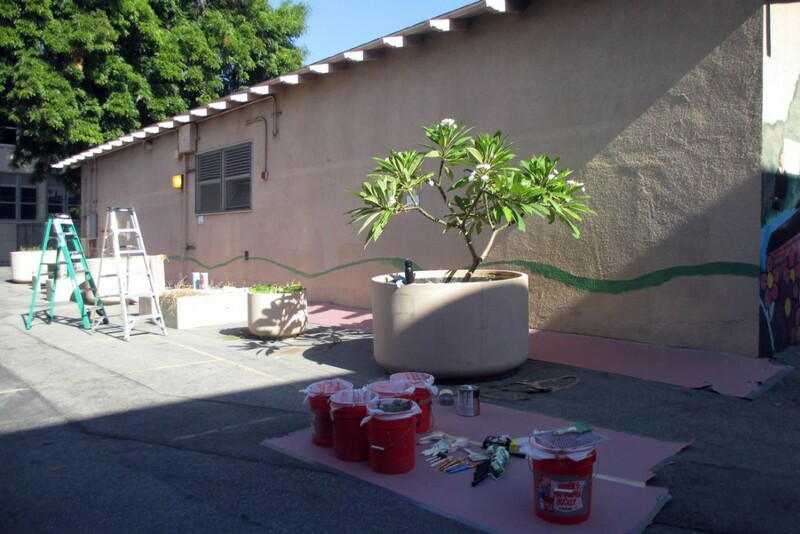 This was the “before” picture of the large wall. 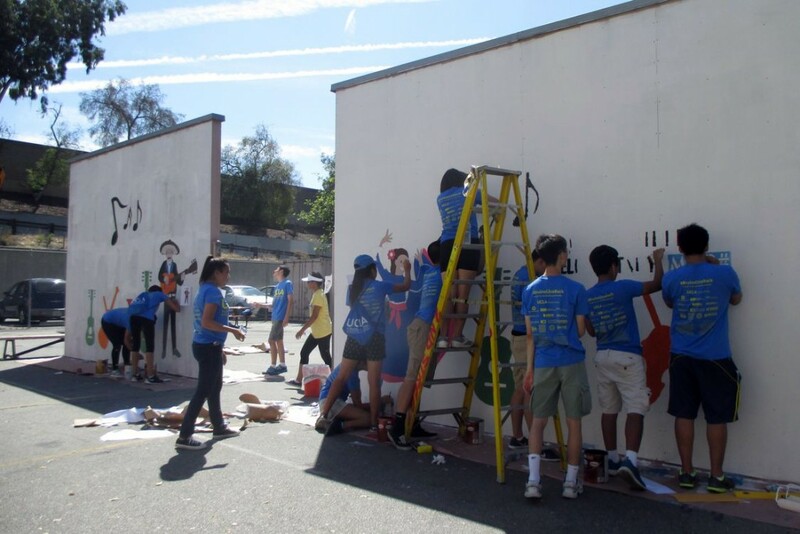 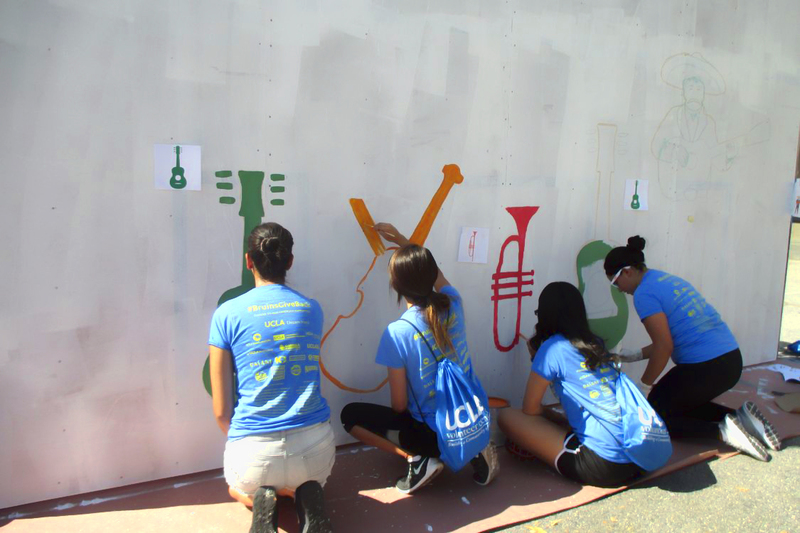 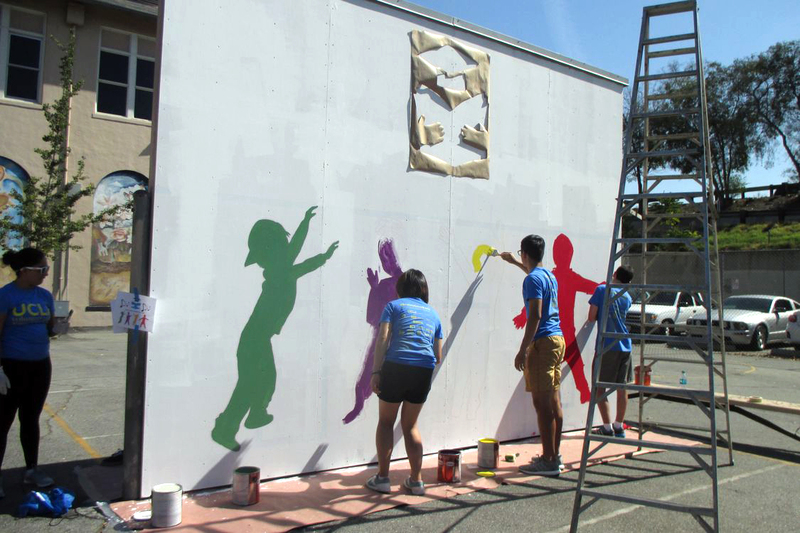 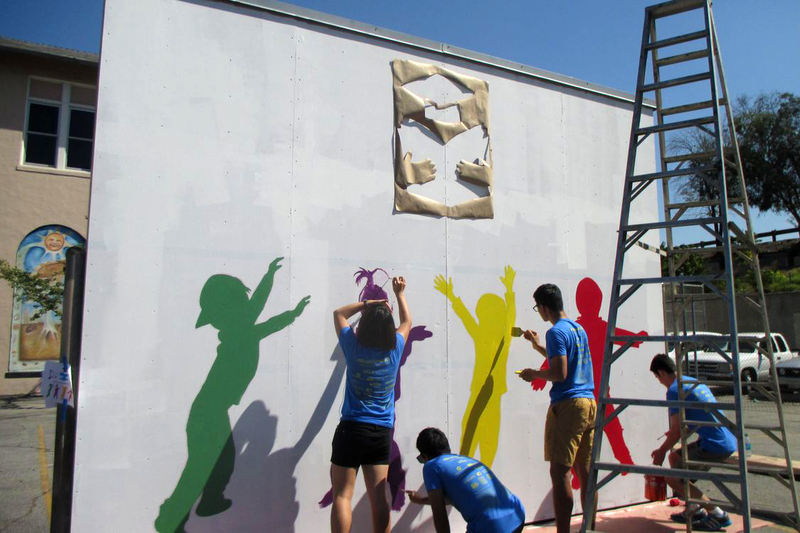 UCLA students arriving to paint the large wall. 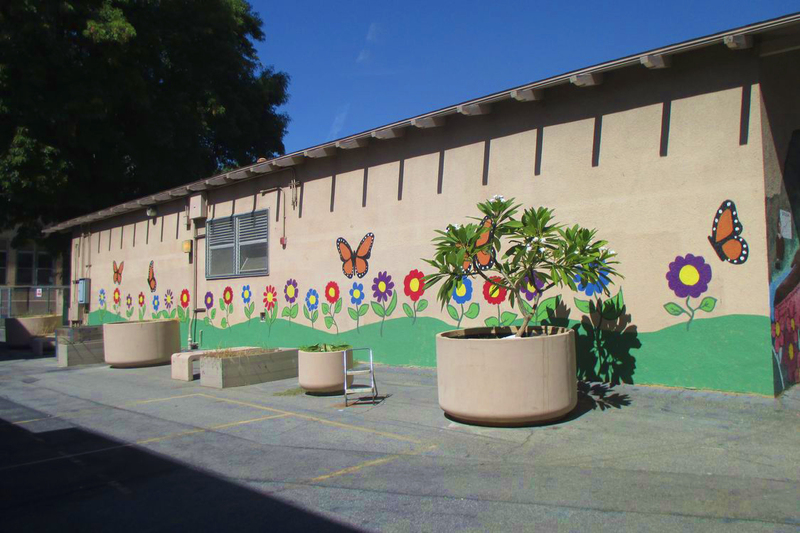 The students also painted the hallways inside and out. 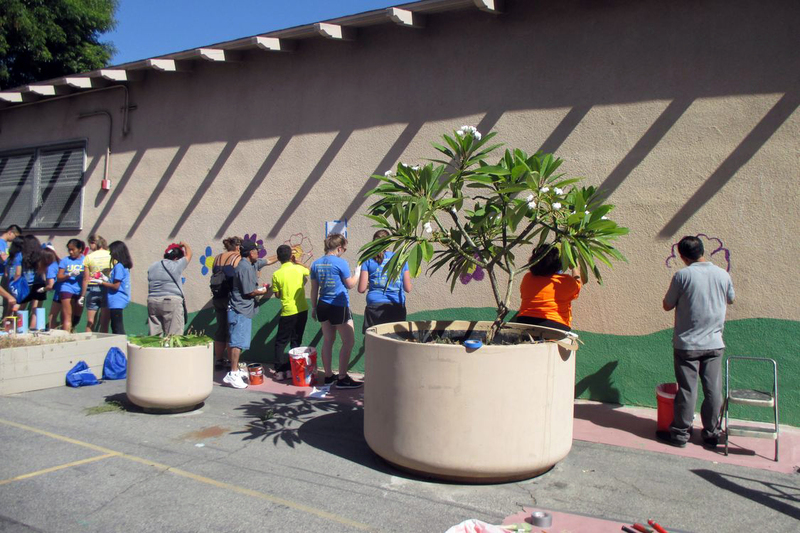 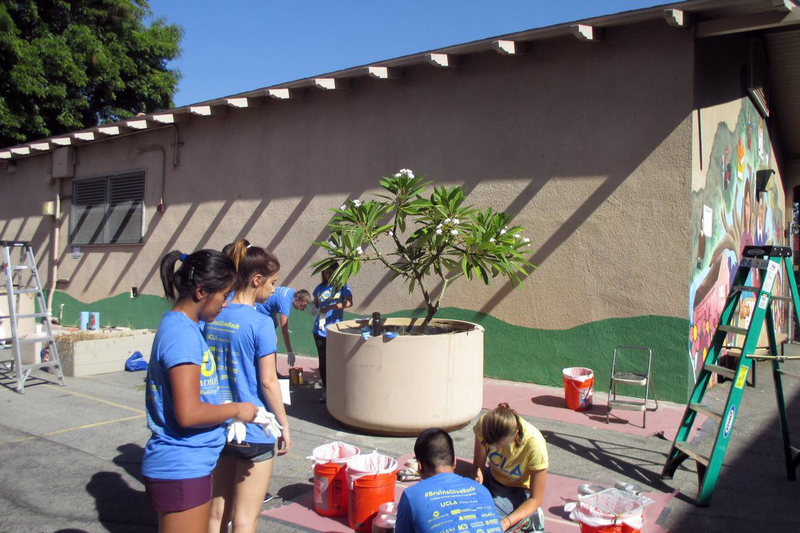 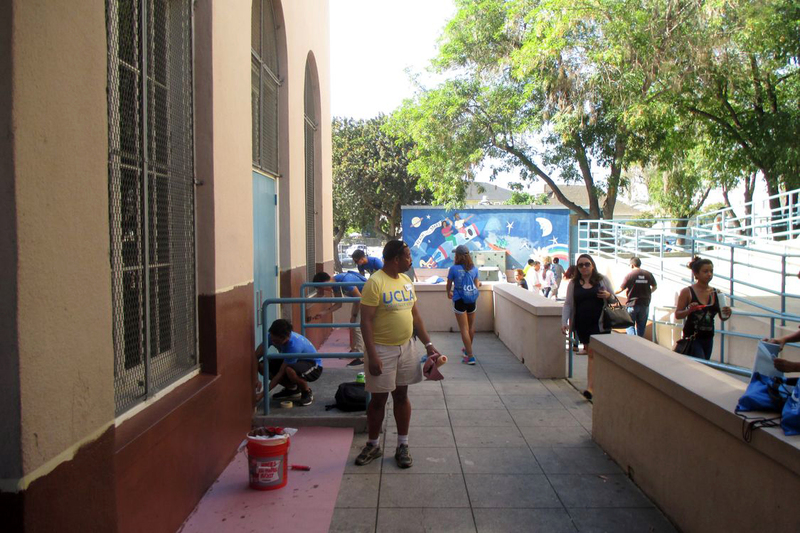 UCLS students painting the handball courts. 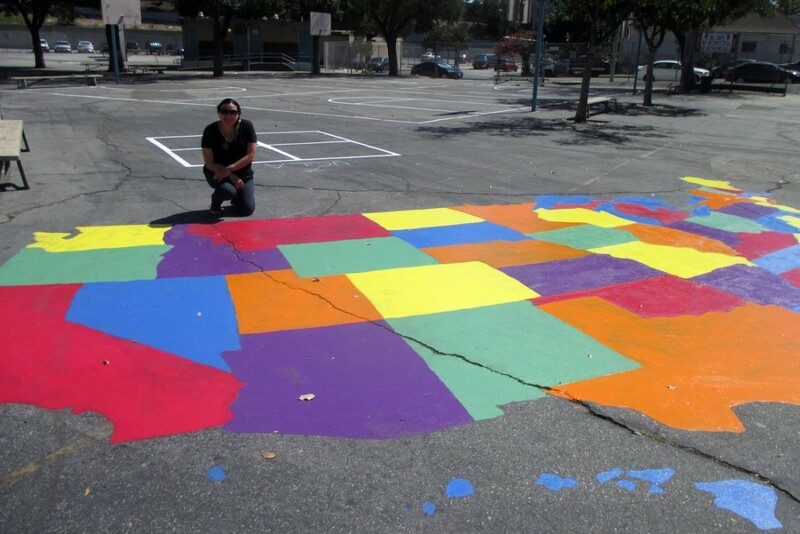 The US map that the students painted on the blacktop. With Cristina Munoz, Second Street Elementary School Principal. With the Project Leader Ed Simon, Second Street Elementary School Principle Cristina Munoz and some of the UCLA task captains. 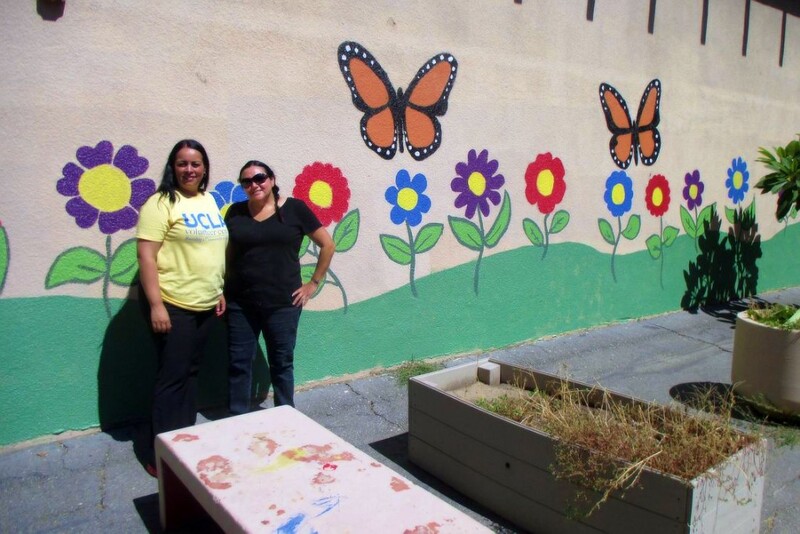 UCLA Volunteer Day from Grasiela Rodriguez on Vimeo.